Bunions are painful, unsightly deformities that occur on the bony side of your big toe. Dr. Gabriel Maislos, DPM, FACFAS, FAENS, regularly treats bunions, one of the most common foot conditions podiatrists deal with, at Houston Foot and Ankle Care. In his Houston office, Dr. Maislos first offers symptomatic relief through modifications like changing your footwear, only opting for surgery as a last resort. If you have a bunion, call or schedule an appointment online today for more information. Bunions are small, bony bumps that develop on the joint at the base of your big toe. They form when your big toe gets pushed up against the neighboring toe. This causes the joint of your big toe to grow in size and protrude out. Generally, bunions appear red and feel very sore. Bunions are also sometimes called hallux valgus deformities, or great toe deformity. A tailor’s bunion is a smaller bunion, or bunionette, that forms at the base of your little toe. Hallux rigidus, or a stiff big toe, refers to a big toe deformity that forms at the base of the big toe, much like a bunion. It typically develops in adults ages 30-60 and is common in arthritis patients. If you have hallux rigidus, you can’t bend your big toe up and down. If your bunion is extremely painful and limits your ability to function, seek medical attention from Dr. Maislos right away. To prevent bunions from forming, choose comfortable, well-fitting shoes and practice good foot hygiene. The treatment for your bunion depends on the specifics of your condition. Dr. Maislos first evaluates your bunion during a physical exam and asks you questions about your pain symptoms. One treatment he offers is the lapidus procedure, which treats bunions caused by first tarsometatarsal (TMT) joint hypermobility. 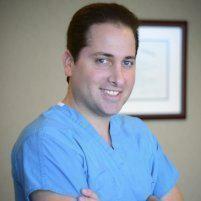 Dr. Maislos also provides a procedure known as the Austin bunionectomy, the surgical removal of a bunion. The procedure involves making a V-shaped incision into the bone to shift it into the correct position and screws maintain the bone’s correct position. If you have a bunion, call Houston Foot and Ankle Care or schedule an appointment online today and learn more about your treatment options.